Our faithfull readers and friends are in love with Miss Kylie Minogue. 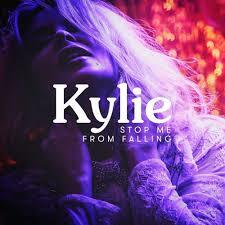 “Dancing” has finally droped to number 2, Yet, “Stop Me From Falling” takes over. Congratulations to the Australian Diva, who has released her new Album, “Golden”, this week! Kim Wilde stays close, keeping number 3 with the fabulous “Kandy Krush”. Miss Lisa Stansfield recovers the 4th place with “Billionaire”. Toni Braxton climbs 9 places with “Coping”. The highest new entry is a surprise! It goes to Miss Samantha Fox with the new retro single, “Hot Boy”! Other entries go to Alison Moyet with “Right As Rain”, a release taken from her soon to be released new Live Album. Meshell Ndegeocello enters to number 17 with her version of “Private Dancer” of Miss Tina Turner!